We're a dynamic group of women on the Sunshine Coast, dedicated to supporting the education of women and the advancement of the status of women, locally, nationally and worldwide. 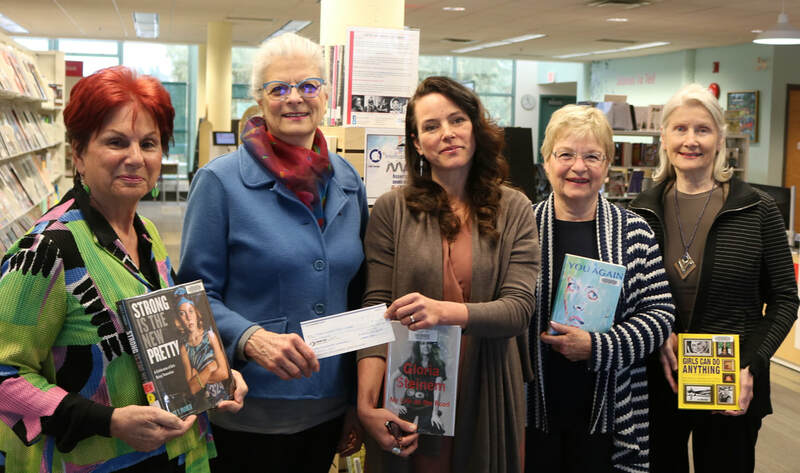 In honour of International Women’s Day, March 8, 2019, CFUW SC was pleased to present a check for $200 to the Sechelt Public Library and another one to the Gibsons District Public Library. Librarians will use these funds to purchase books that celebrate the achievements of women and girls. 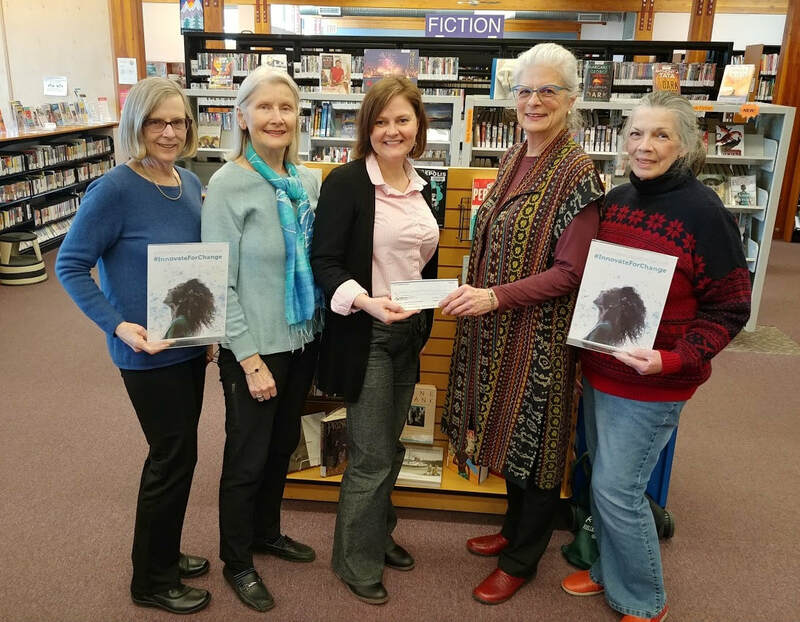 From L to R: CFUW-SC members Mardie Campbell (Membership), Unni Claridge (Past President), Elle Archibald (Chief Librarian, Sechelt), Barbara Cochran (President), Diana Adams (Vice-President). Cheque presentation at the Gibson's Public Library. L to R CFUW-SC members Marlene Oussoren, Barbara Cochran (President), Heather Evans-Cullen (Gibson's Librarian), Michele Stobie and Unni Claridge (Past President). Initiatives to celebrate CFUW's 100th Anniversary. Contact Diane Williams or Dixie Meagher for tickets. $31. each. Find out more about our gift card program. Congratulations to club members, our supporters and donors. In 2018 the Bursary Society CFUW SC awarded $11,000. to 6 students. Congratulations to our recipients, well done! Read more on "What the bursary means to me..."